Update, January 11: It’s official. Bolivia’s stance has been accepted. Thirteen nations filed objections, far fewer than were needed to block Bolivia’s readmission: the United States, Canada, Finland, France, Germany, Ireland, Israel, Italy, the Netherlands, Portugal, Russia, and Sweden. The Bolivian government campaign to alter the international legal status of chewing coca leaves (a practice known locally as acullicu) is expected to take its first major step forward later this week. On that day, unless 63 other countries step forward to block the move, the country’s objection to including the practice as a form of narcotic drug use under the 1961 Single Convention on Narcotic Drugs will be accepted as a reservation to the treaty. In effect, the country will stand relieved of a treaty obligation to criminalize coca chewing (which theoretically was required by 1989). Coca chewing remains a widely accepted and legal practice in Bolivia, and coca growers are an important constituency, organized into two regional unions. The logical and more consequential step would be to remove coca chewing from the convention altogether, but this requires a consensus of parties to the convention. (Removing coca chewing from the convention would not have resulted in its global legalization, but rather left in place national laws on the substance.) A Bolivian effort to do just that failed in 2011 when the United States and 17 other countries filed objections. 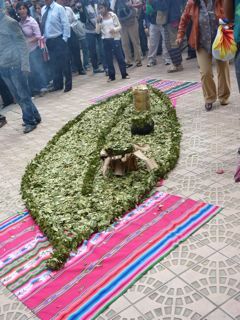 Anthropologists in the United States, along with drug policy and Latin American policy advocates, had urged the Obama administration to avoid taking this stance, signing on to a letter that argued, “Coca chewing is central to the cultural identity of millions of indigenous Andean people, and has been for many centuries. Rejecting Bolivia’s amendment conflicts with the 2007 UN Declaration on the Rights of Indigenous Peoples.” This effort at persuasion fell on deaf ears. Stymied in the broader effort, Bolivian diplomats began a new approach in June 2011. They moved to temporarily leave the convention—while promising to uphold its other requirements—and rejoin with a reservation concerning coca chewing. Their re-adherence was formalized in January 2012, and other parties had twelve months to file objections. That period runs out Thursday, January 10, 2013. Again, the Obama administration has raised a complaint, so far joined only by the United Kingdom, Italy, and Sweden. For Bolivia to not be accepted, this total must rise to 62 by Thursday. So, a small diplomatic victory over the criminalization of coca chewing seems likely this week. Evo Morales announced that Peru, among other countries, may follow in Bolivia’s footsteps. Last year, Ecuadorian President Rafael Correa called the criminalization “a genuine attack on collective rights and an insult to the ancestral peoples of Bolivia. un verdadero atentado a los derechos colectivos, insulto a los pueblos ancestrales bolivianos.” In Bolivia, a public celebration is planned for late this week.